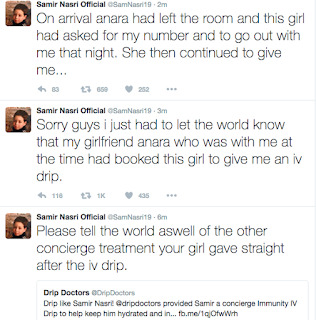 When it comes to drama..drama, 2016 is the year that keeps giving. 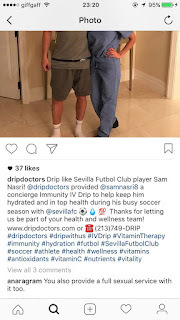 And today's episode features Manchester City and Sevilla midfielder Samri Nasri, his Twitter account, his girlfriend's Instagram account and Drip Doctors. 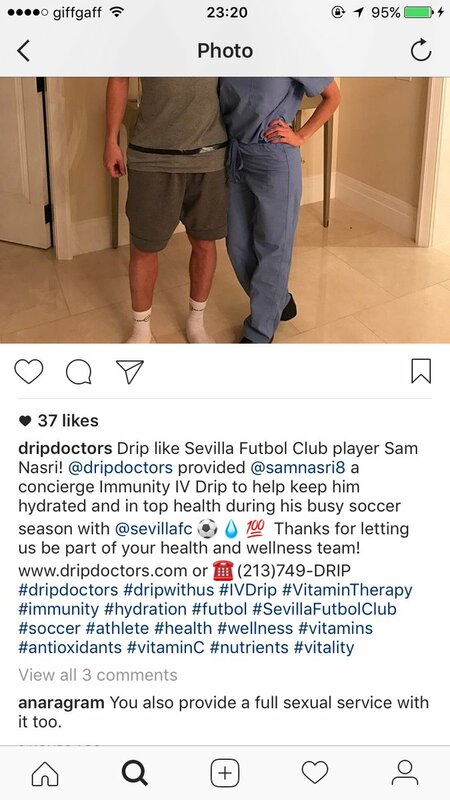 The hack accuses Drip Doctor, who are known for providing medical concierge services to rich and famous, of providing happy endings in addition to the medical services.